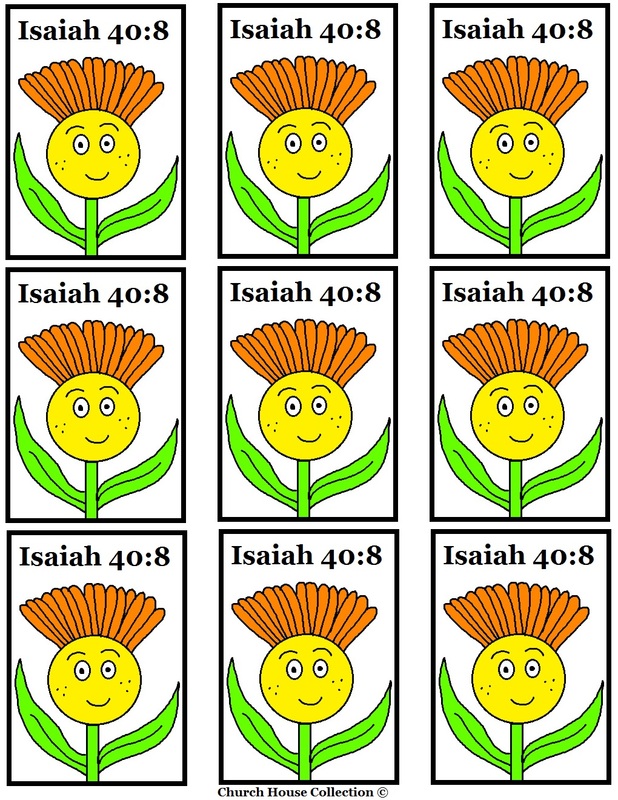 Isaiah 40:8-The grass withereth, the flower fadeth: but the word of our God shall stand for ever. Pick which template you need. We have two different tempates. 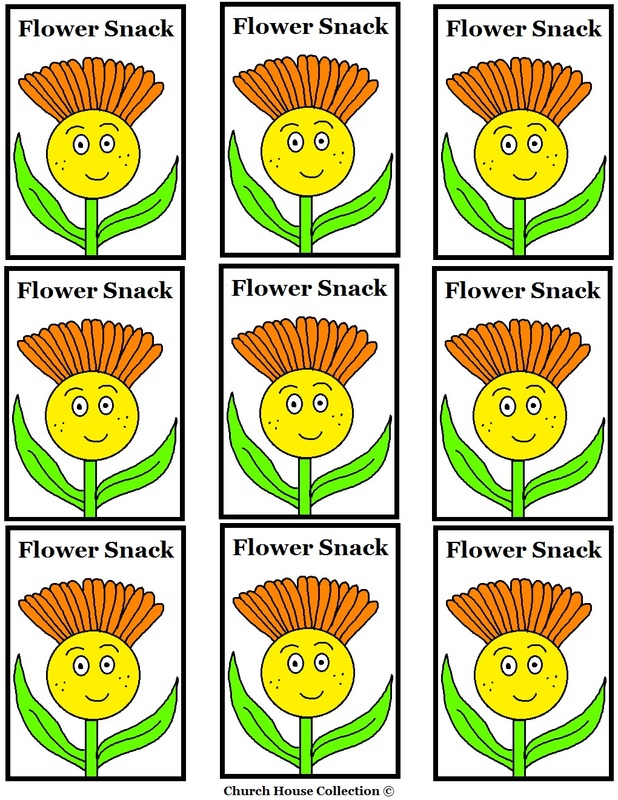 One with a scripture and the other one just say's Flower Snack. Print out the template you want and cut them out. Tape these to the back of a popsicle stick and then stick them down in the apples. 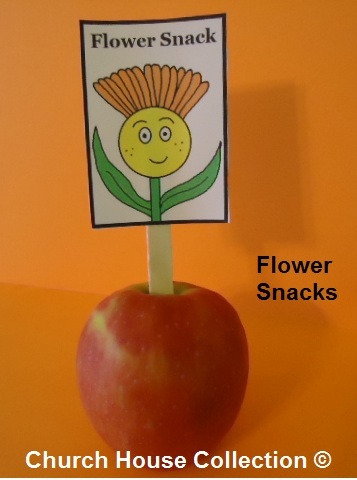 Make these little flower apple snacks for the kids in Sunday school or Children's Church. Or you can make them up for your own child at home to reinforce the scripture behind this. 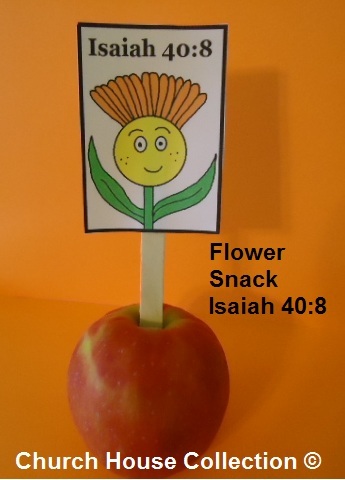 Use this Flower apple snack to go along with our Flower Sunday School Lesson that goes with it. Comes with tons of stuff that matches.